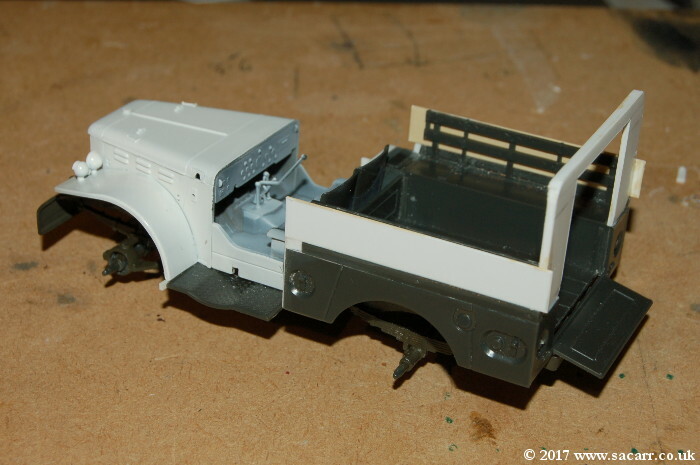 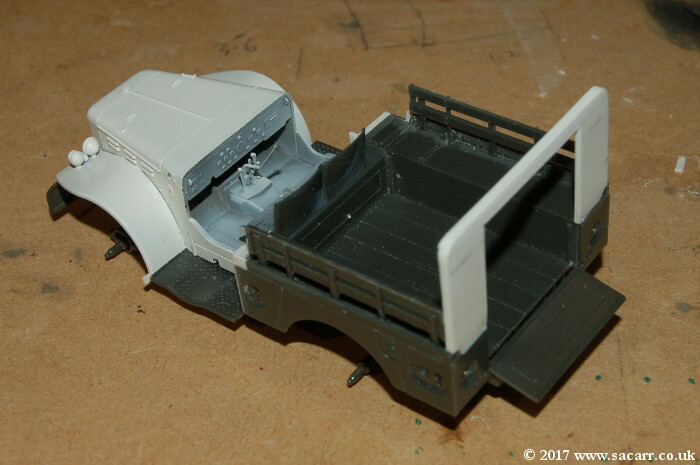 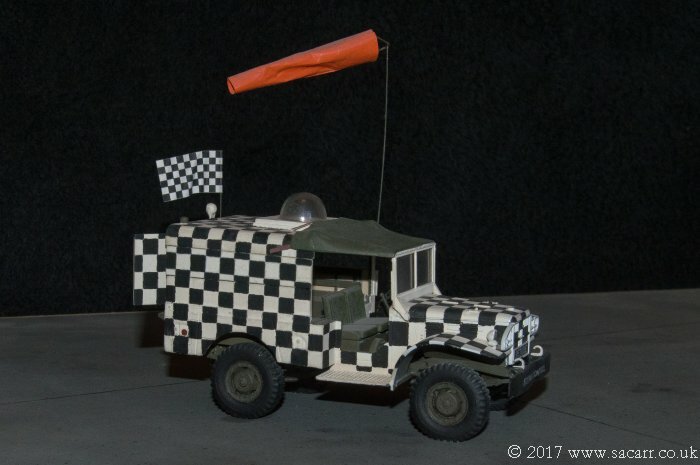 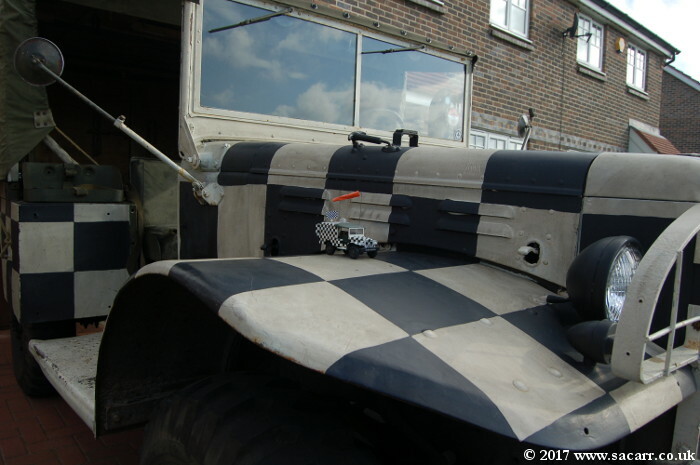 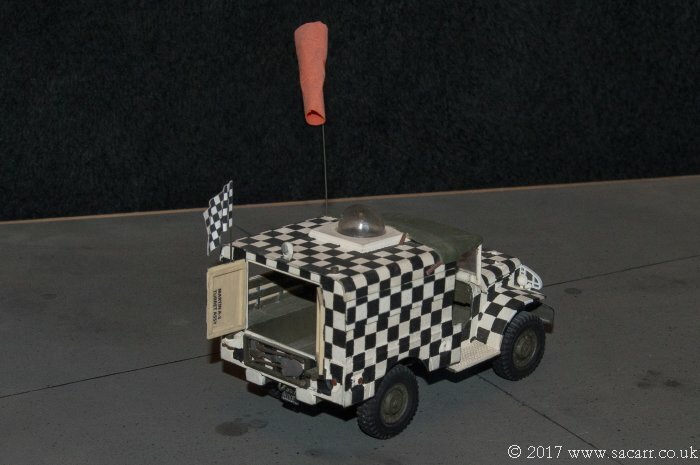 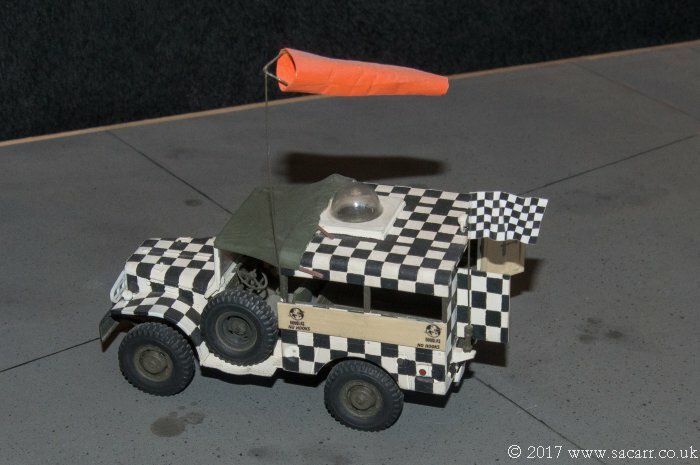 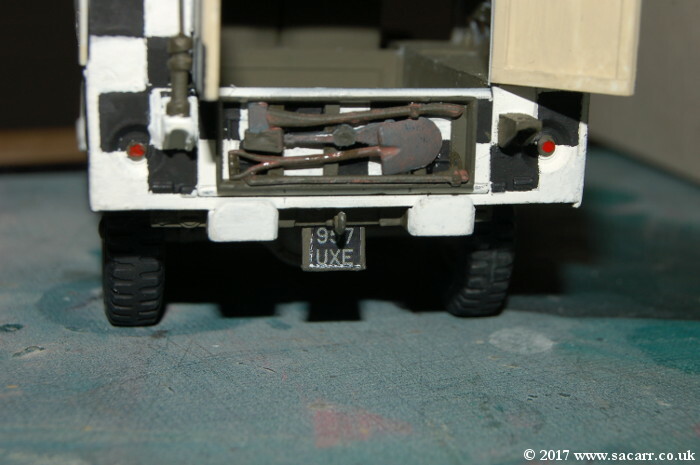 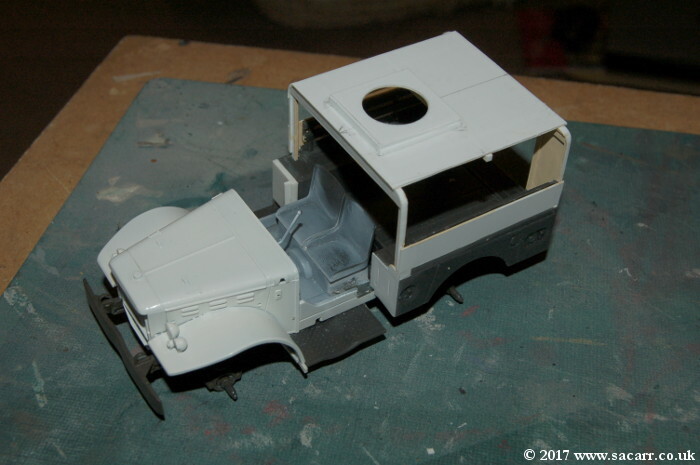 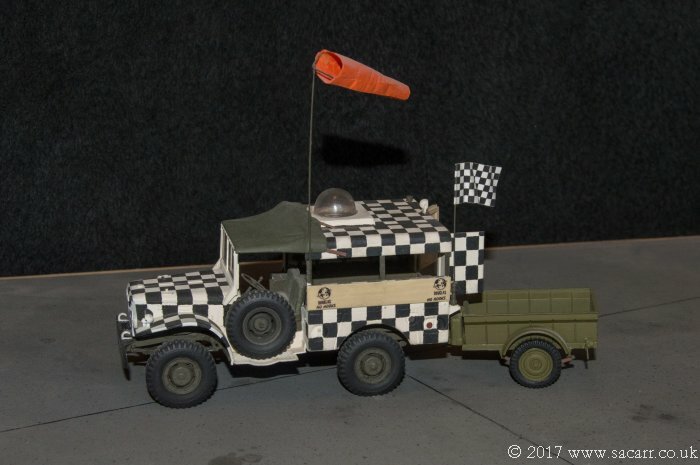 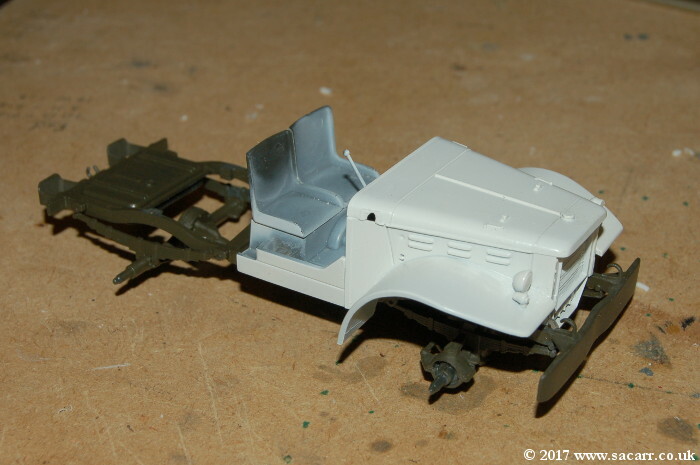 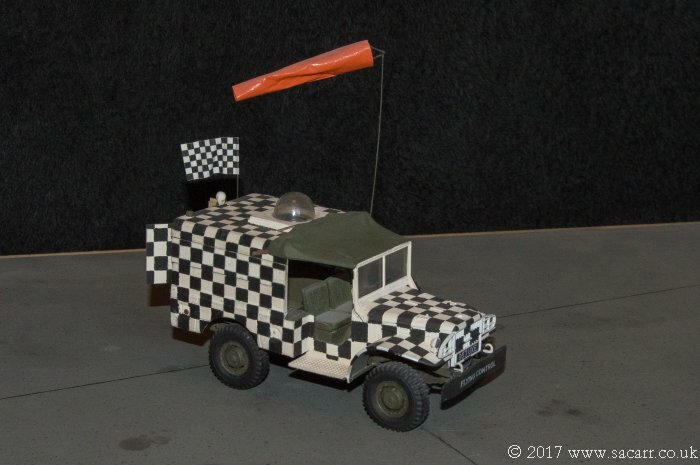 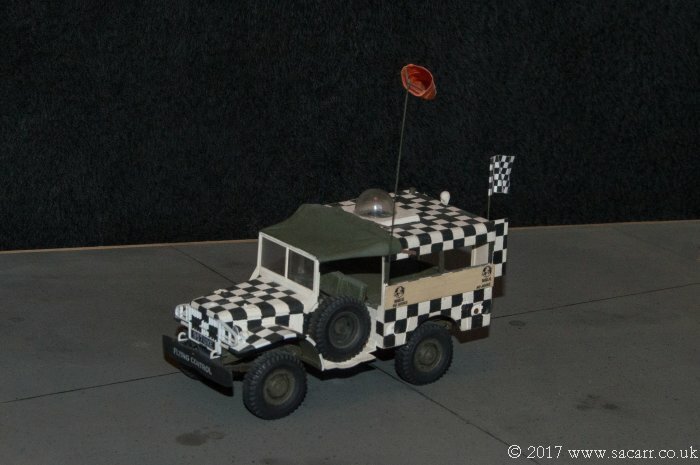 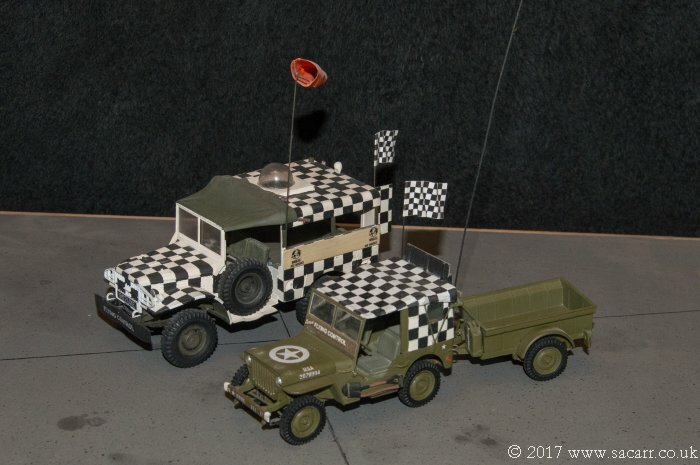 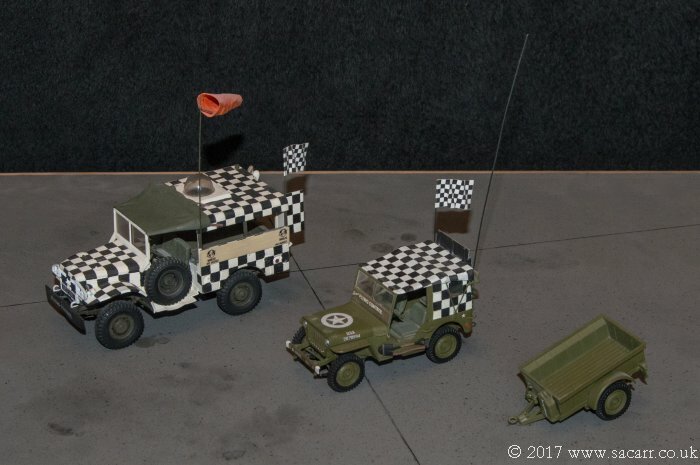 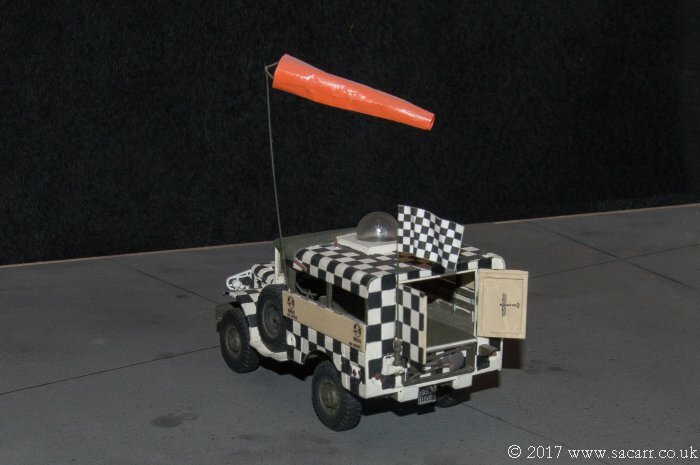 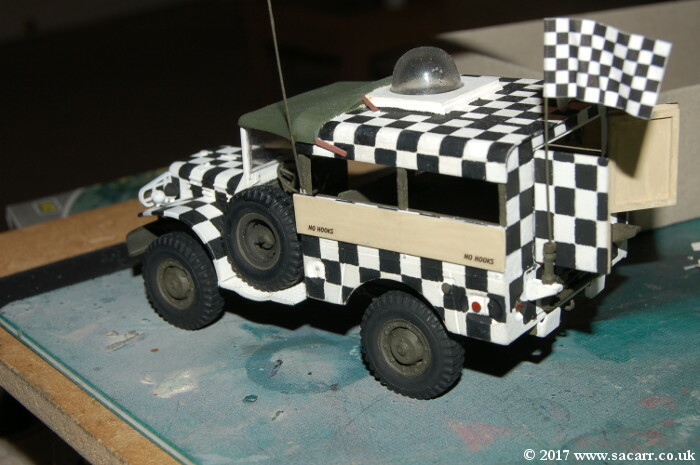 The 1/35 scale Dodge is based on a friends truck which was converted to a 'Flying Control' vehicle. 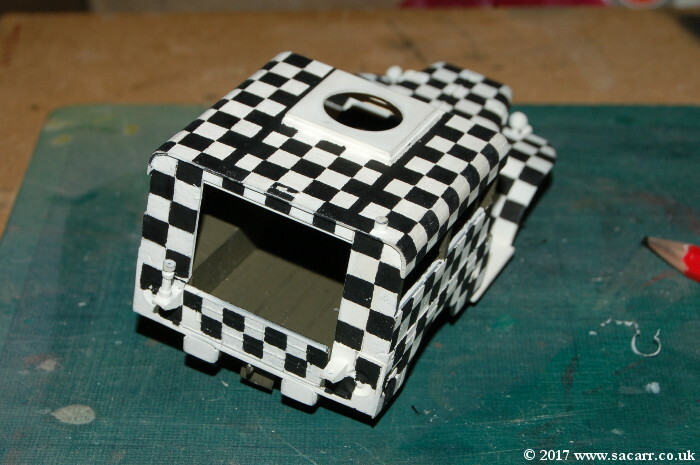 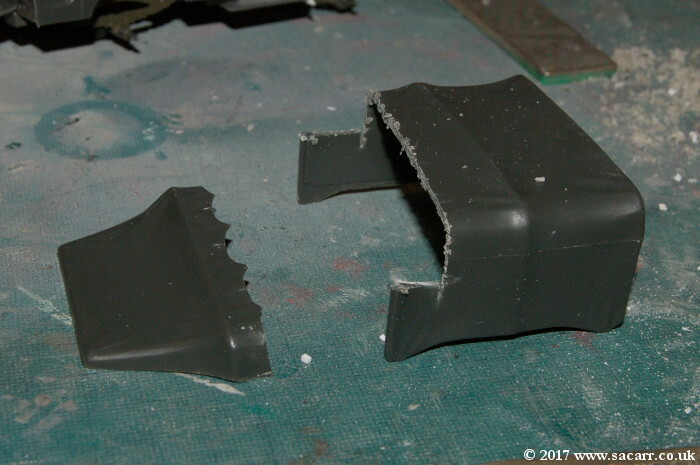 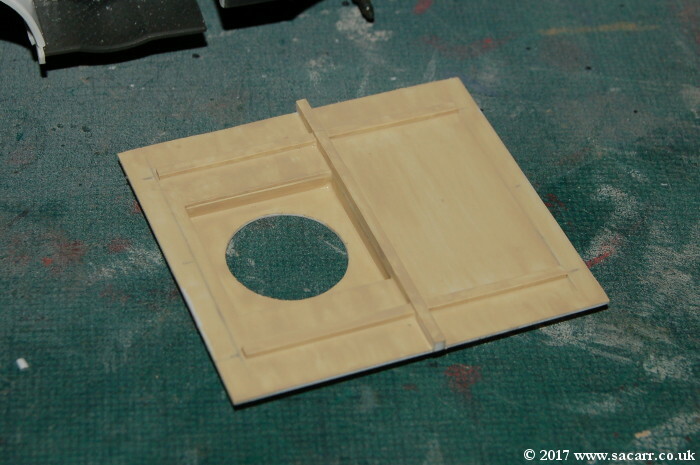 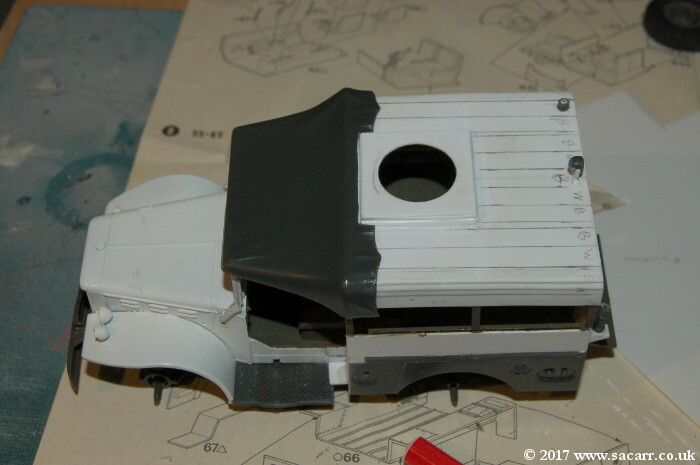 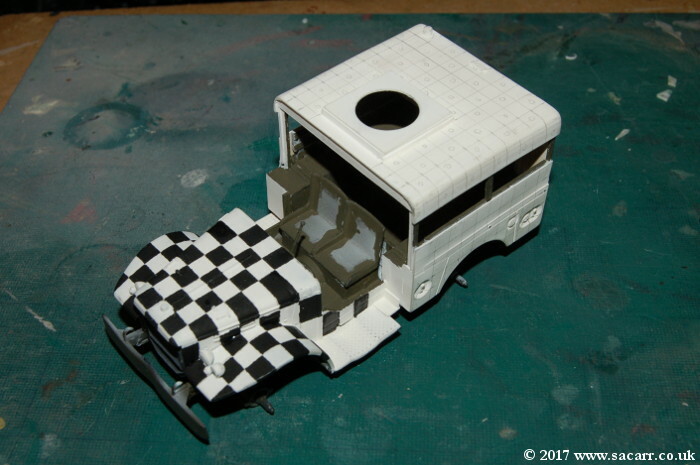 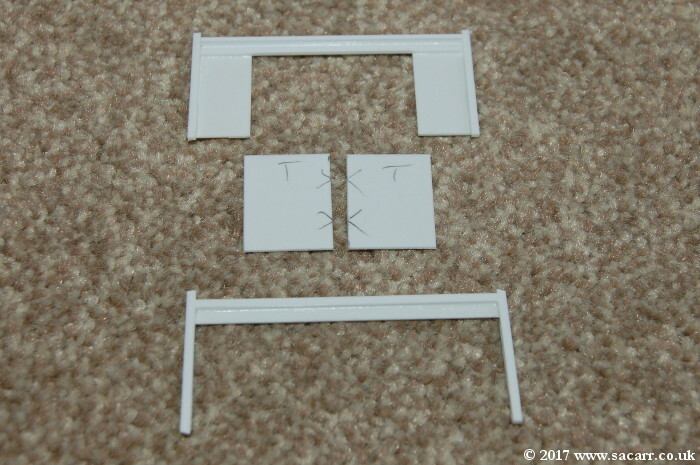 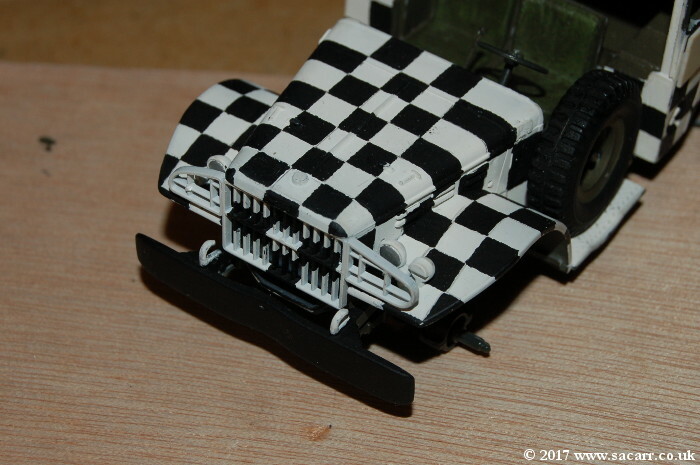 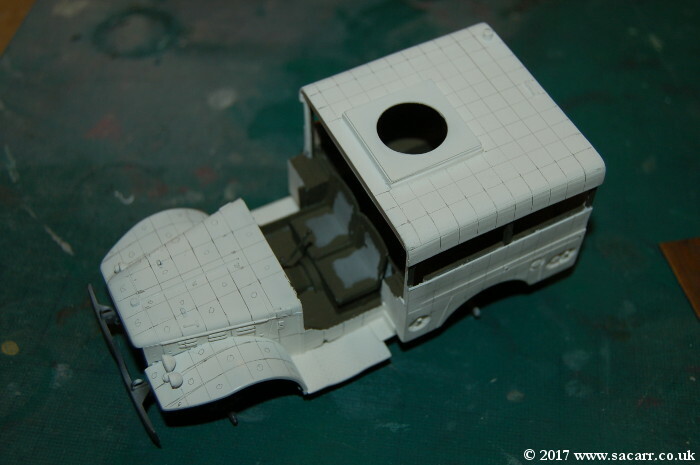 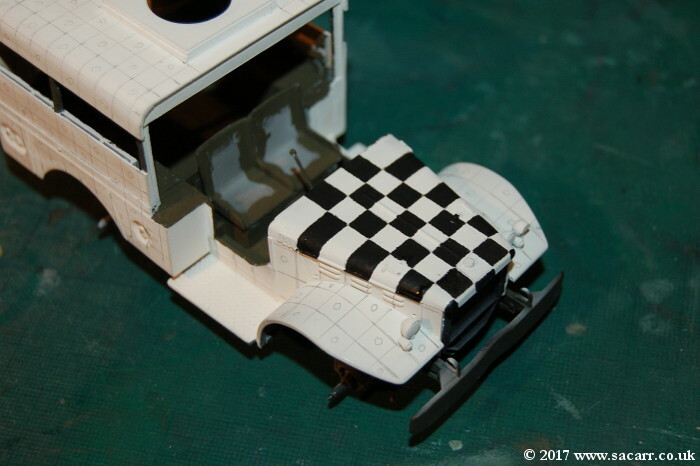 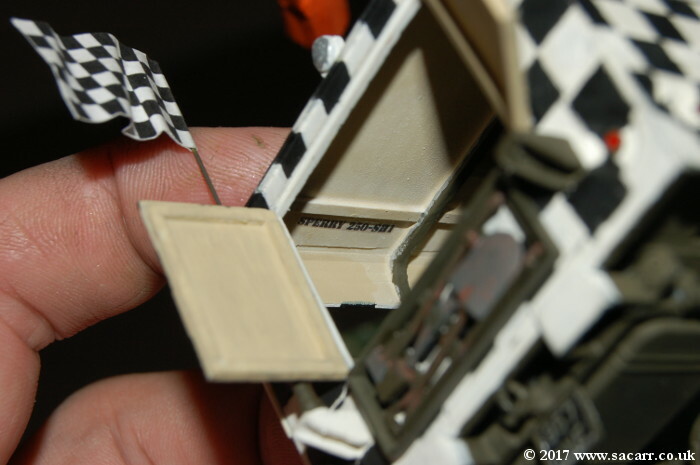 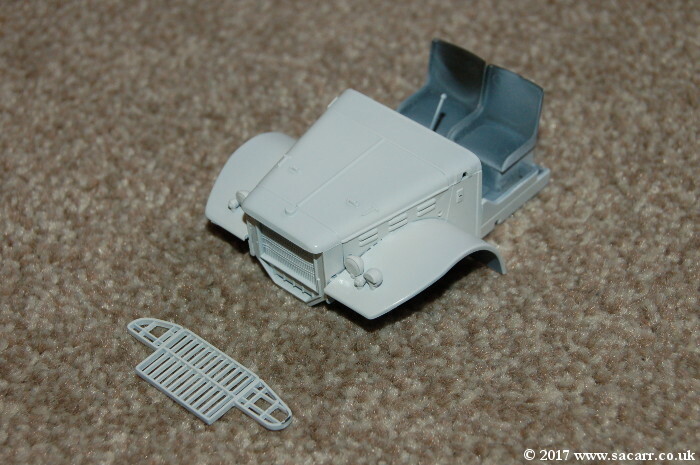 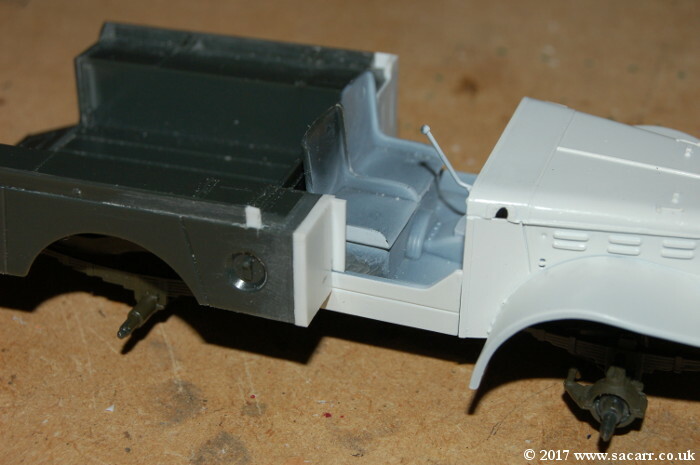 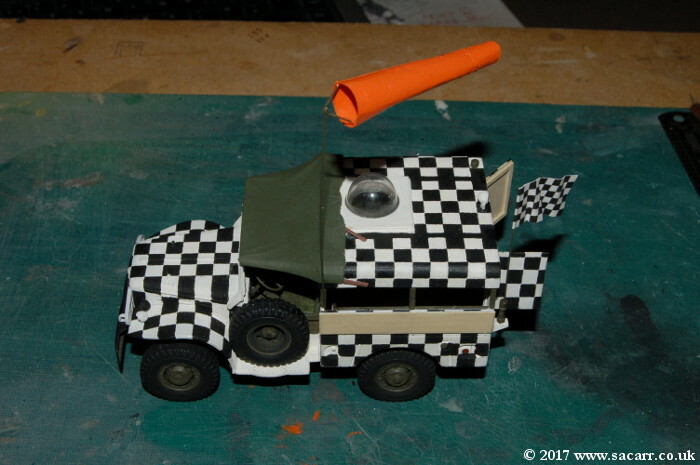 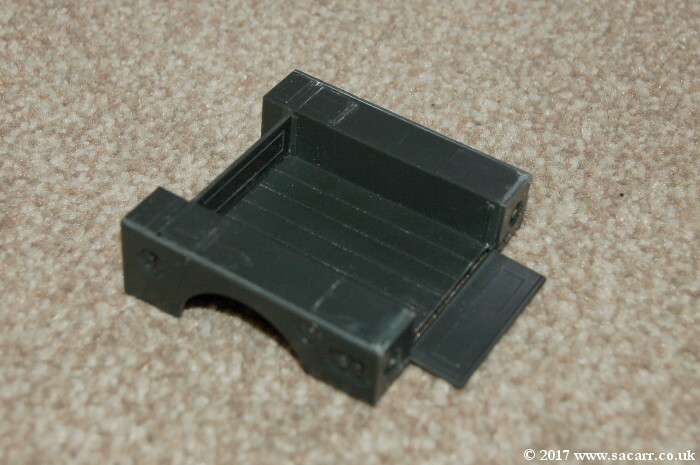 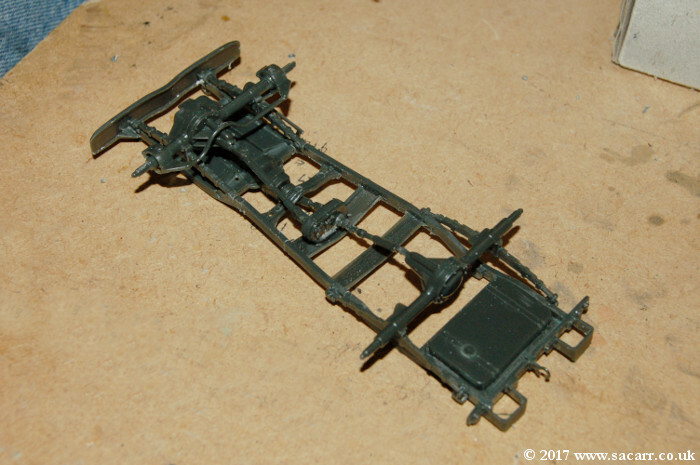 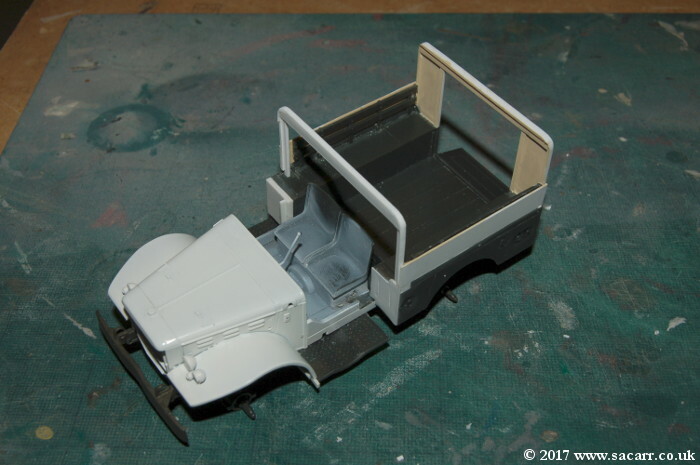 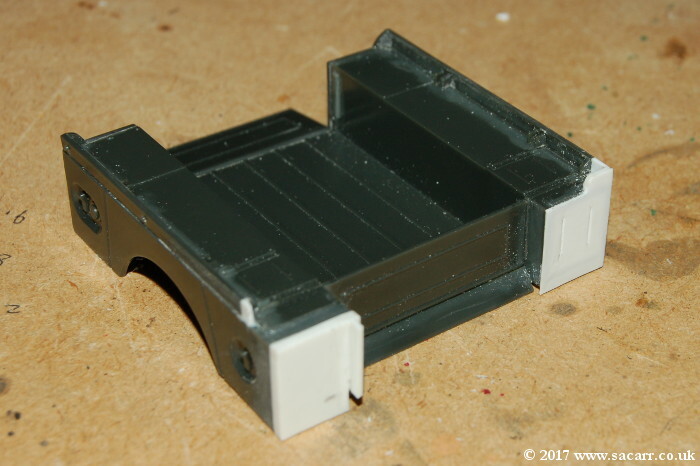 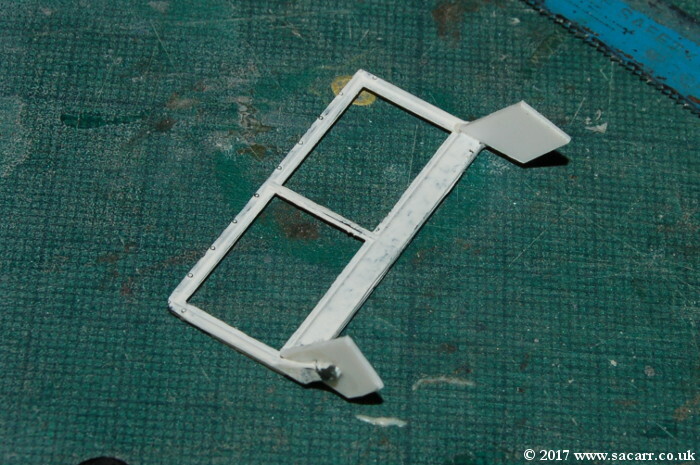 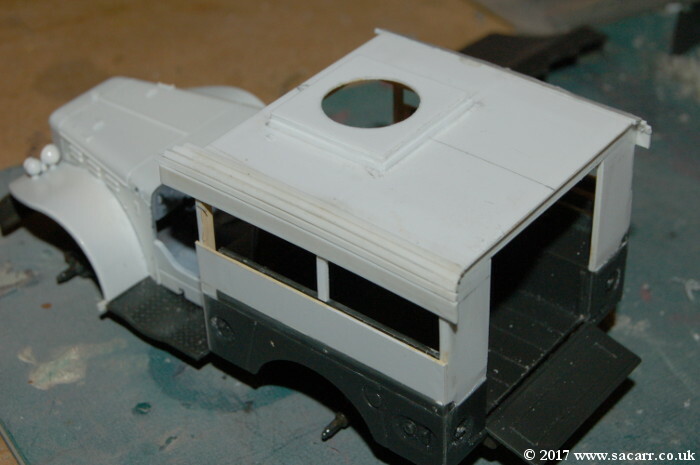 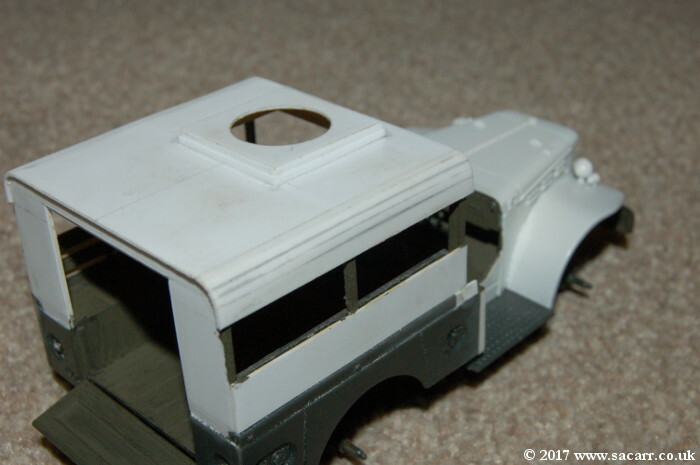 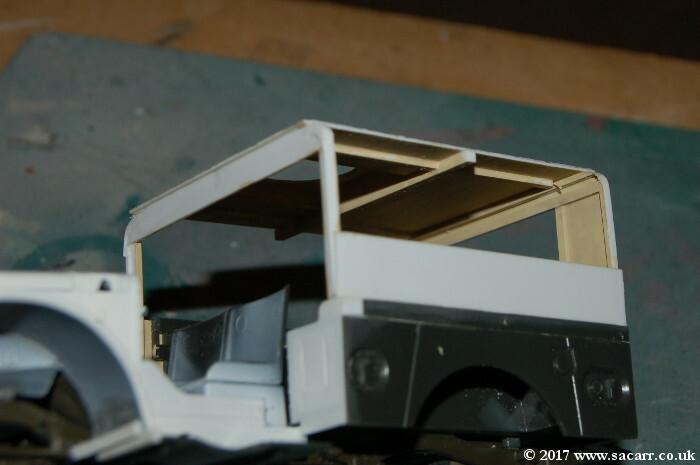 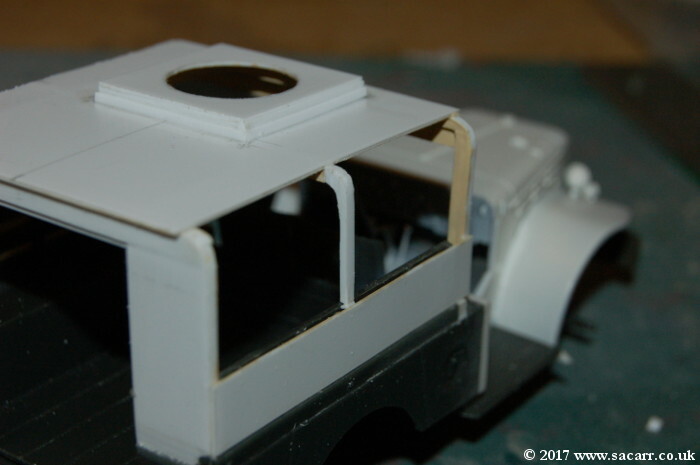 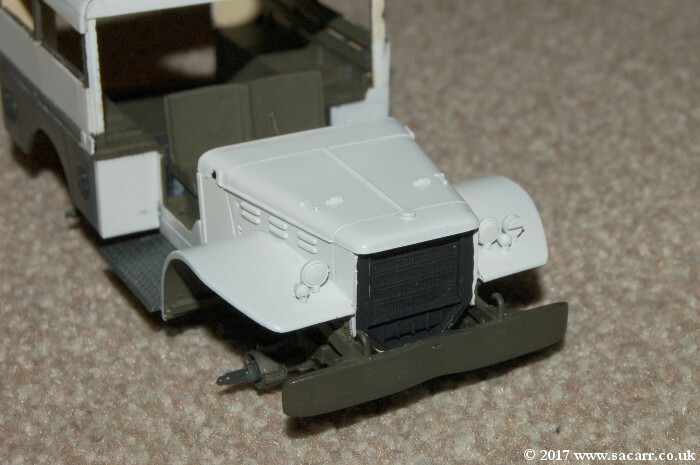 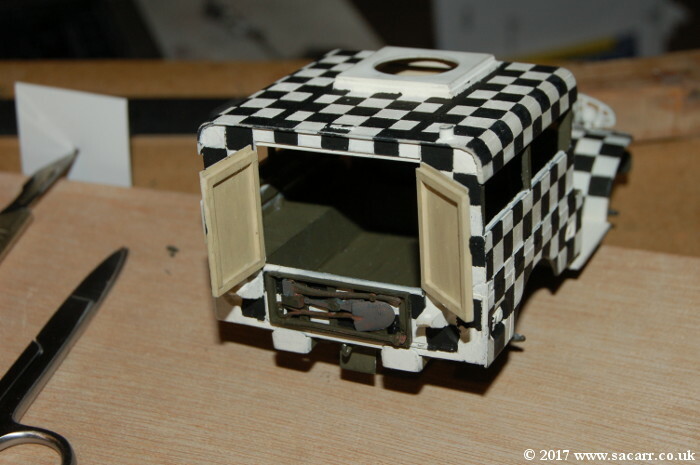 The chassis and front of the vehicle were built pretty much straight from the kit, with the exception being thinning some of the materials to a more scale thickness. 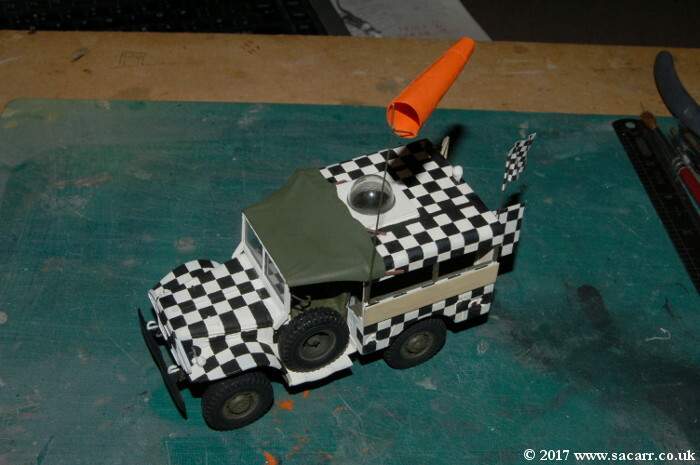 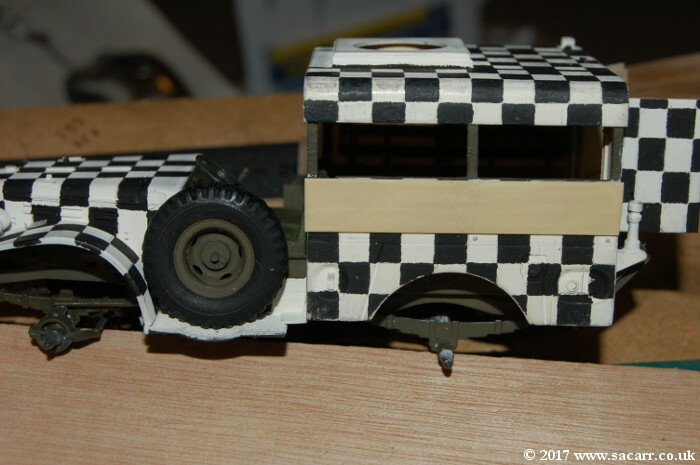 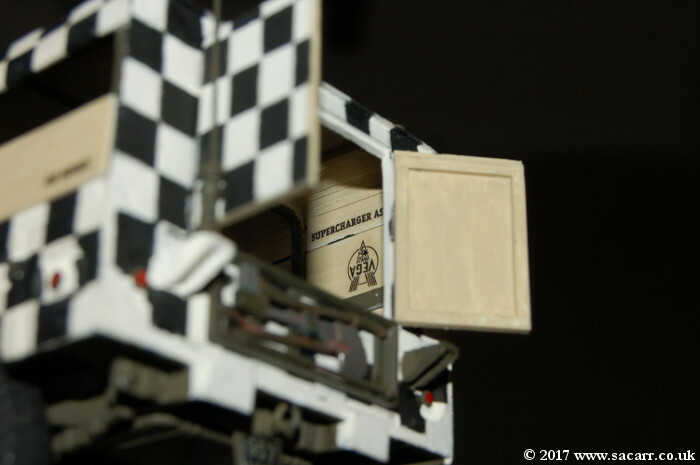 The rear body of the truck was scratch built to match the wooden body built onto the real truck. 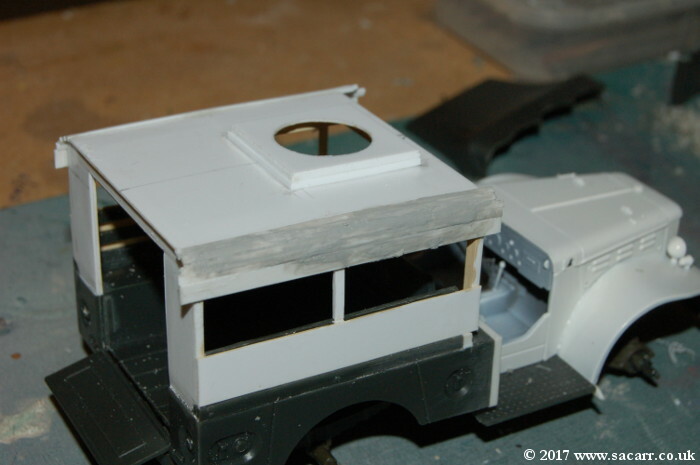 Part of the canvas roof moulding was used. 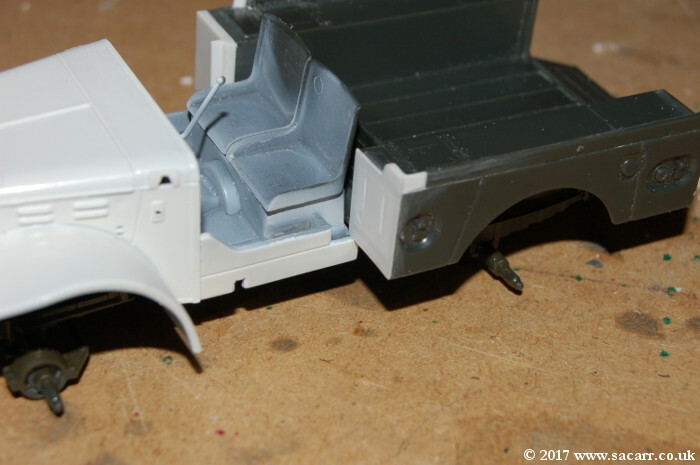 On the real Dodge, the canvas over the cab is a separate piece to the rear canvas. 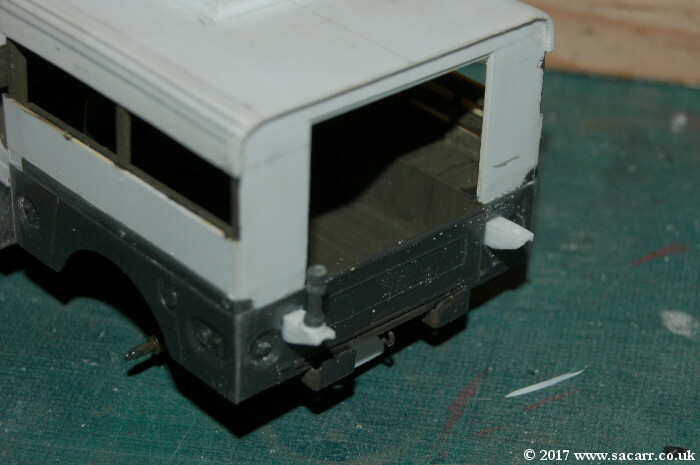 This was kept on the truck after the new wooden body was fitted. 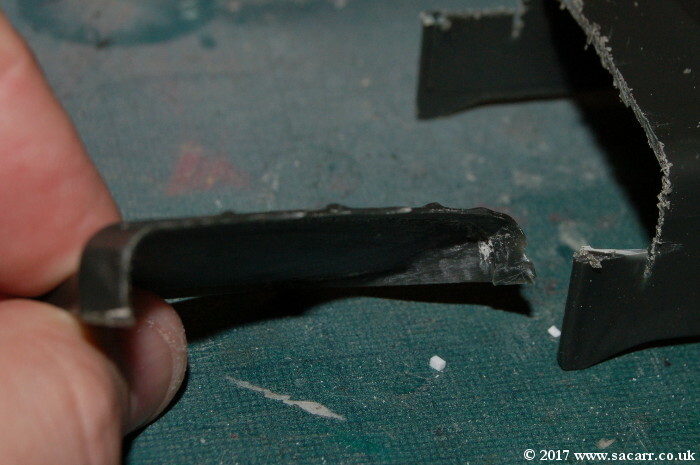 On the model, the forward section of this moulding, was used. 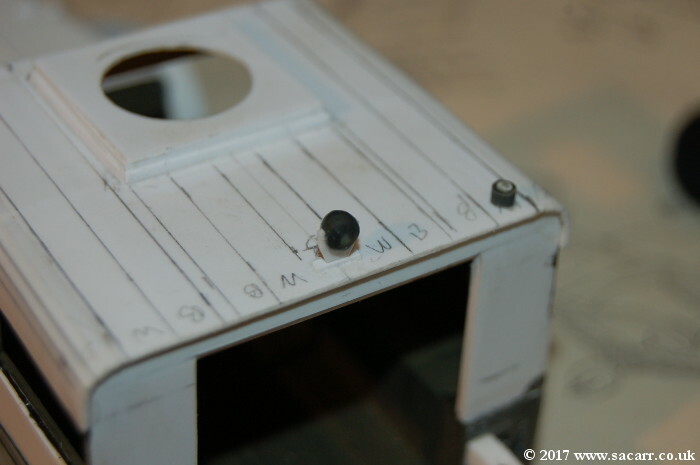 The painting began with a small brush, and steady hand and lots of holding my breath. 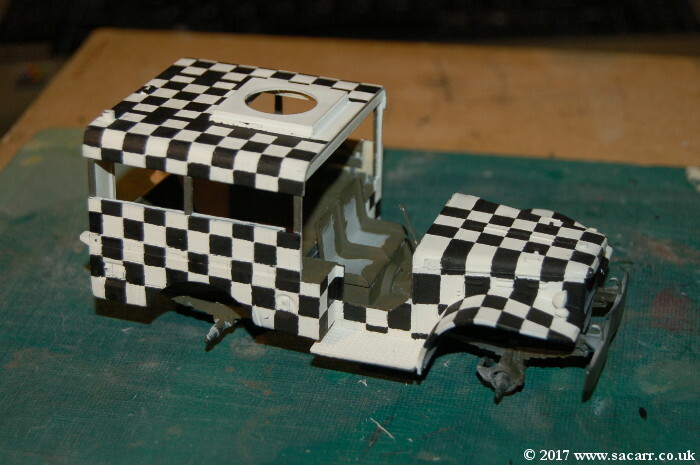 Here we are one hour into the checker painting! 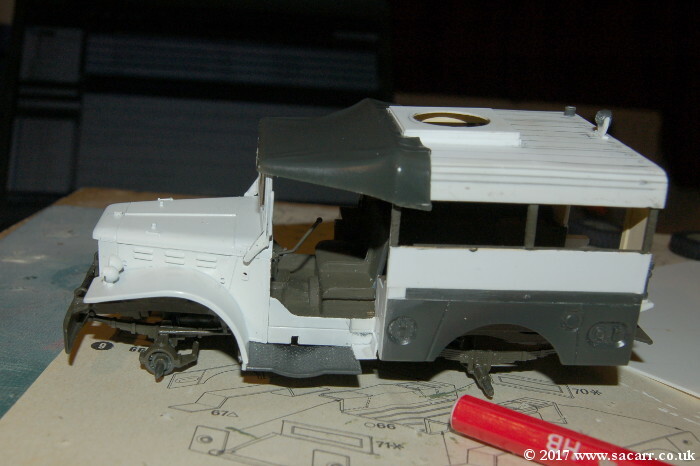 After almost three hours work, the front end was pretty much done! 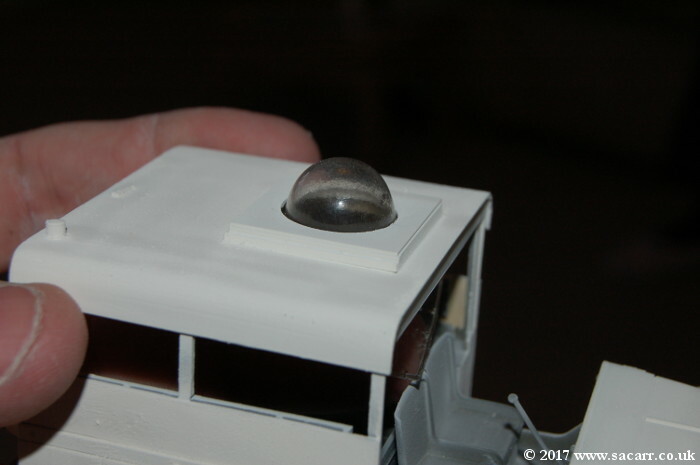 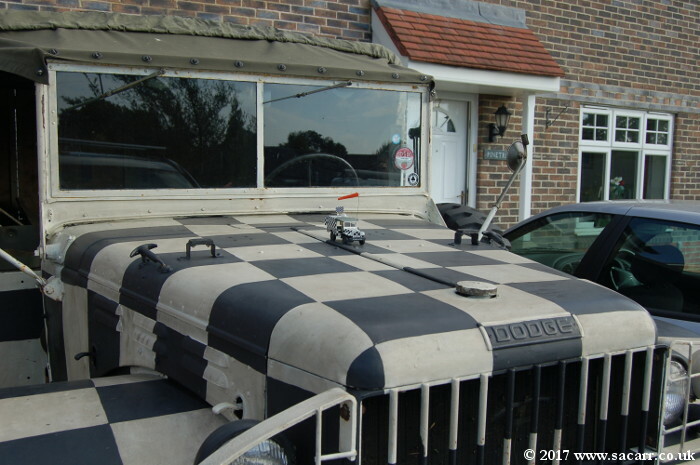 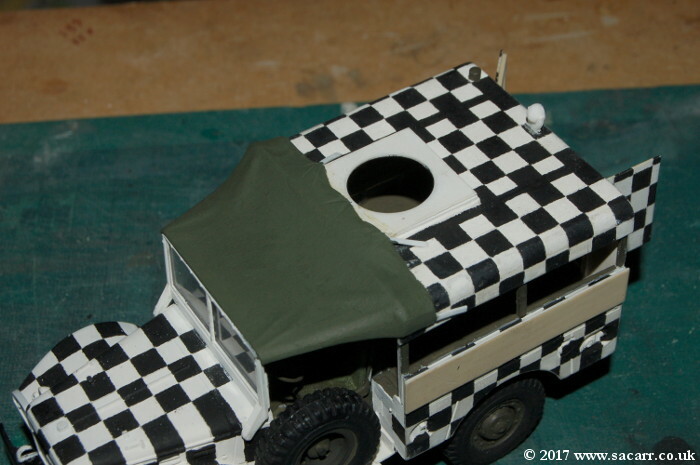 The roof canvas was glued on and the canvas over the dome mount was built up in Milliput. 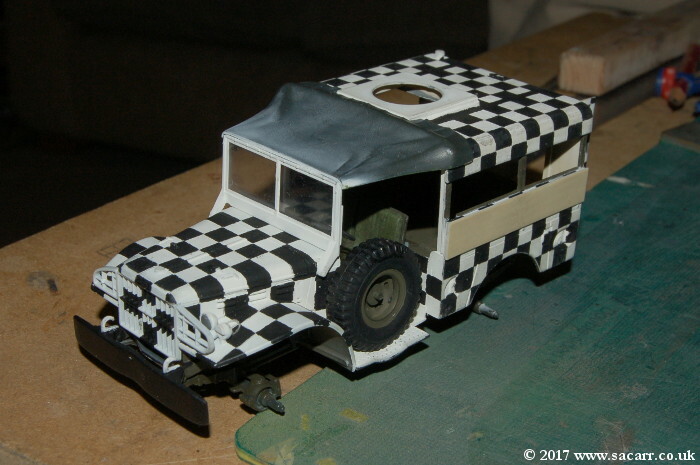 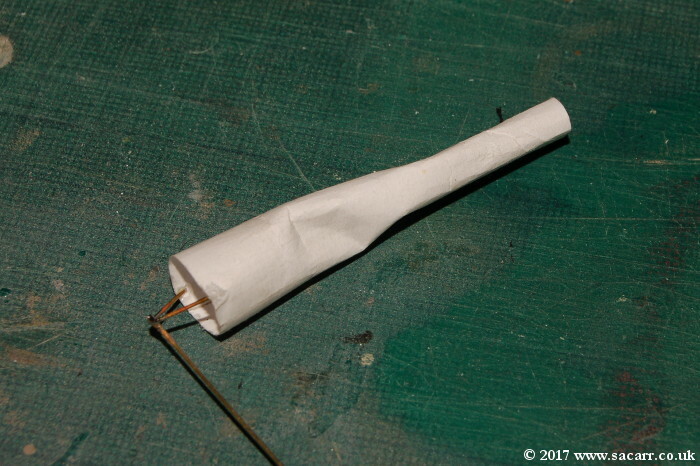 This was shaped and a few wrinkles added with the blunt end of a paint brush. 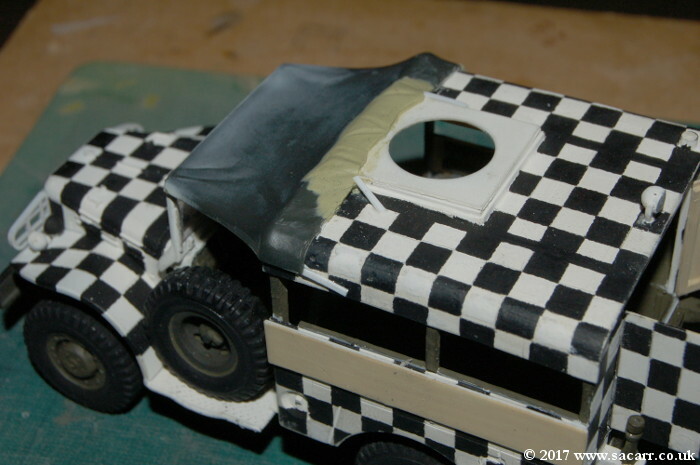 The four leather straps that hold the roof down were added with some thin styrene cut into 0.75mm wide strips. 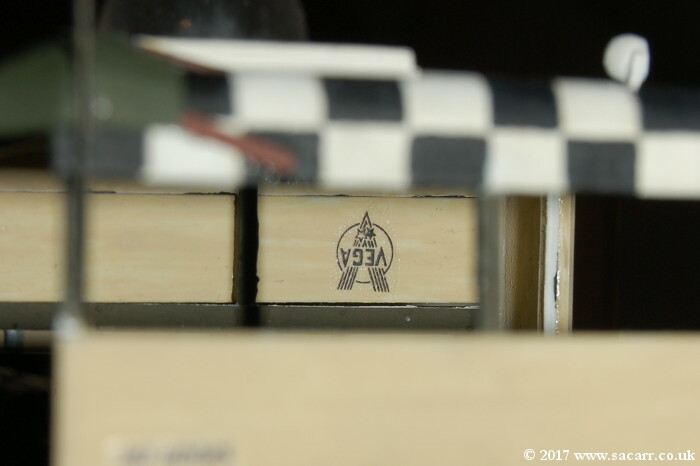 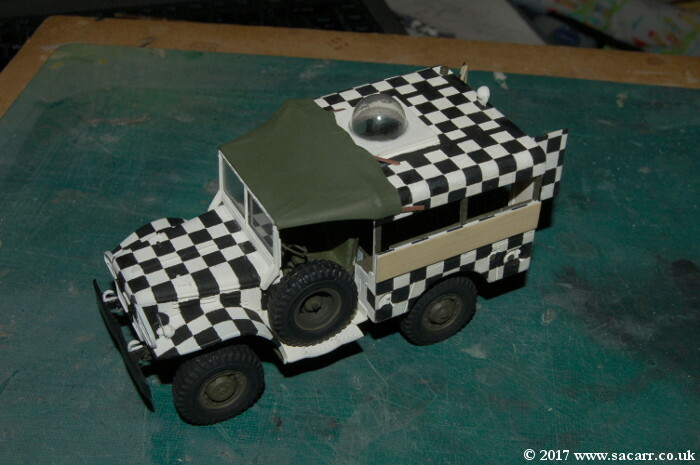 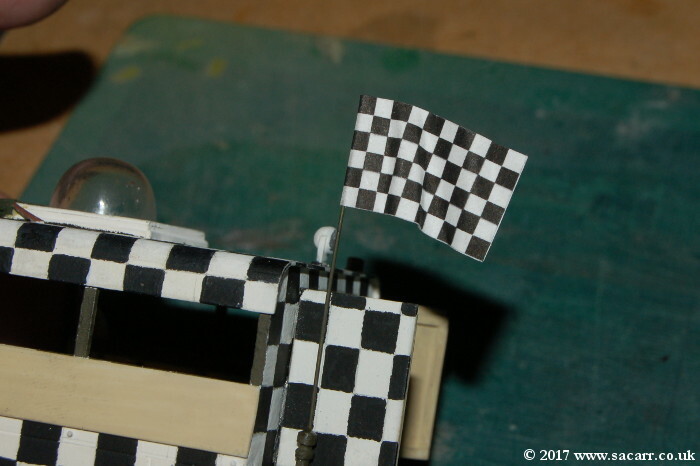 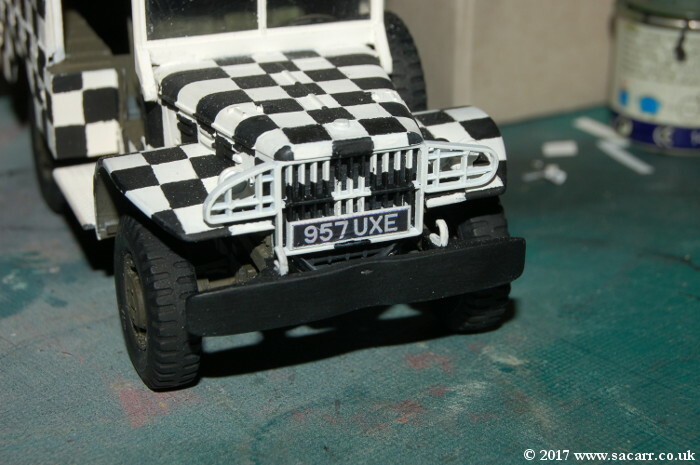 A few more checkers were touched up to straighten the edges and the wheel hubs touched in following the attachment of the wheels. 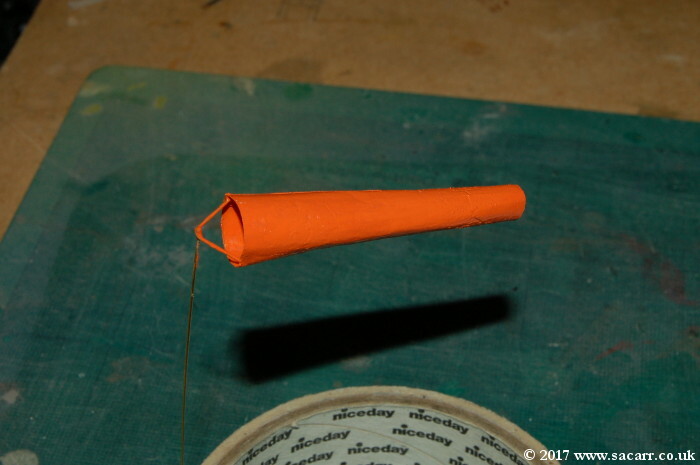 The windsock and flag were made from paper on brass wire poles. 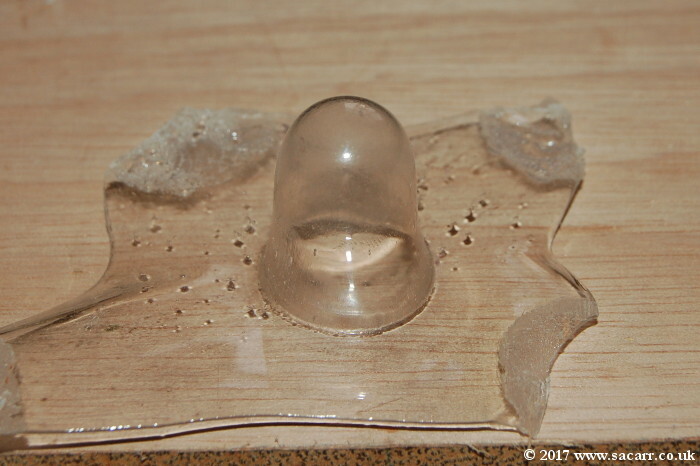 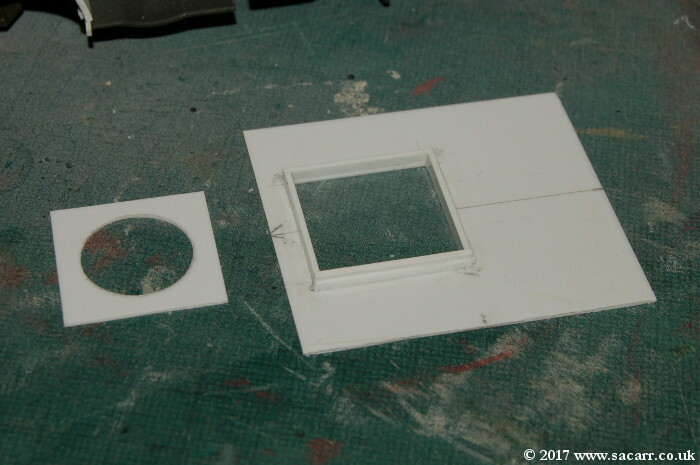 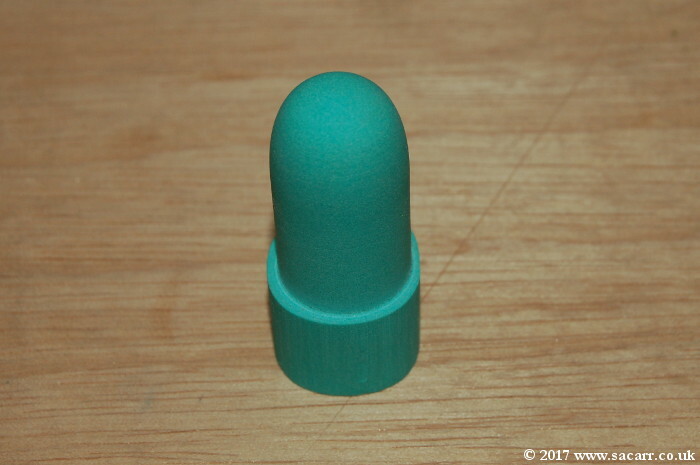 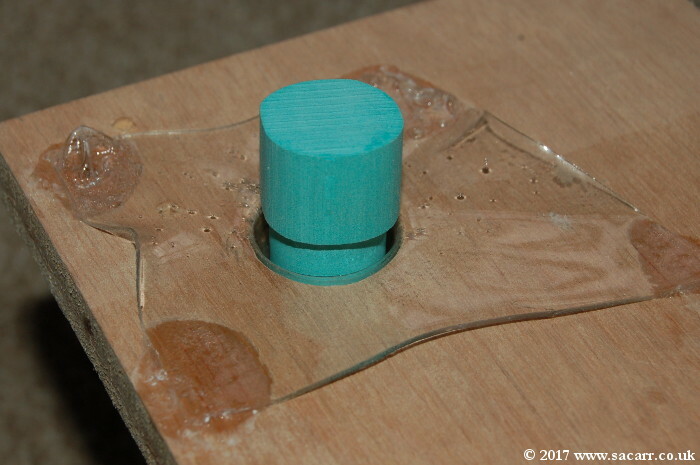 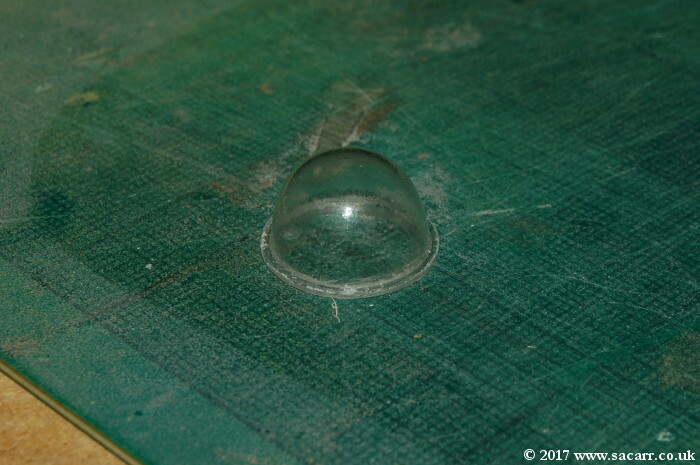 The dome in the roof was a clear plastic 'push moulding' using a plug made on the lathe. 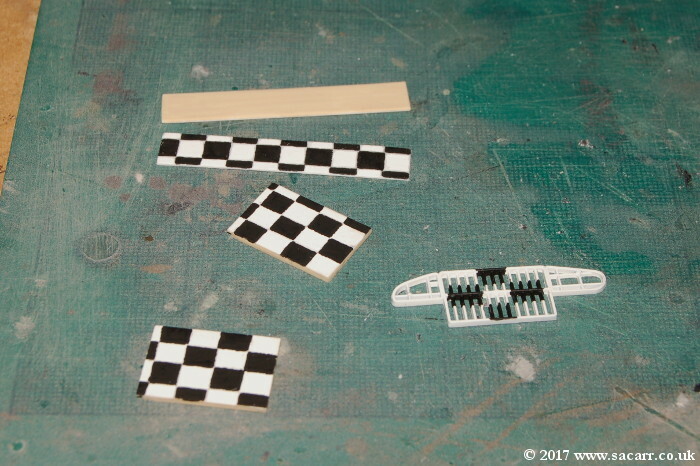 Custom made waterslide decals finished off the markings and stencilling.